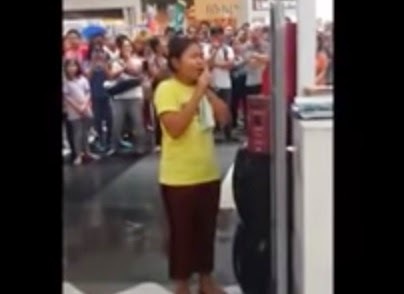 Alisah Bonaobra sings Let It Go in Robinsons Mall whose video became viral and popular online. The video of Alisah Bonaobra which was originally uploaded by Henrik in his fb account got thousands of likes and shares and earned praises from netizens. "Her name is Alisah Bonaobia and she sings like a dream. If there are any record compagny with a littel respect for talent, you schould really get her name in a comtract." Henrik quoted. According to him, "Me and my wife met this girl in Robinson mall in Manila. Her name is Alisah Bonaobia and she sings like a dream. If there are any record compagny with a littel respect for talent, you schould really get her name in a comtract. I got her cell number 09498412135. She has a fantastic voice and a big tallent for detail in her way of using her voice," Henrik Jensen wrote on Youtube video description.